On the northeastern corner of Ancient City of Suzhou, it is the most typical and best preserved historical cultural area in Suzhou. On the northeastern corner of old Suzhou, it is the most typical and best preserved historical cultural area in Suzhou, with a history of over 2,500 years. In the area, tourist can find the parallel roads and rivers parallel in the double chessboards layout, small bridges, flowing waters, cottages and ole and deep lanes, showing the characteristics of the land of water in South China. This area embraces many ancient bridge, wells, trees, memorial archways and civilian residences, in addition to Ouyuan Garden, which has been included in the World Cultural Heritage List and the Kunqu Opera Museum (Quanjin Guild Hall), a cultural heritage exhibit of Kunqu Opera. There are nine cultural relics protection units, 43 pieces of architecture under protection, and a multitude of early architecture, classical bridges, wells, and memorial archways. The ruins of the old town walls are clearly visible. Throughout history, many literary scholars, high officials, and members of the nobility lived in the quarter. It is an open district consisting mainly of residential buildings and its true value lies in the traditional style of living. 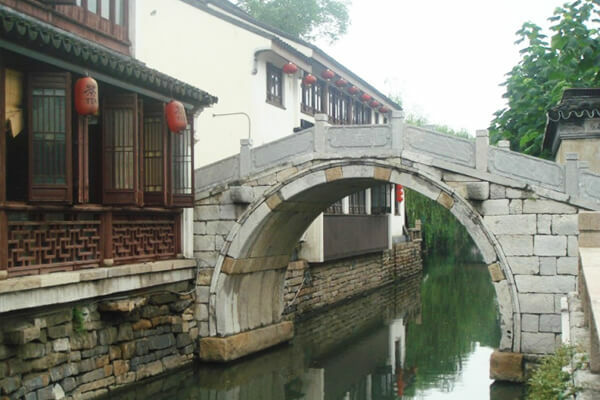 The area is a living record of Suzhou’s 2,500 years of history and is not just for sightseeing, but also a place where you can witness history and traditional culture in action.